I was lucky enough recently to go diving in the Indian Ocean off Mauritius, an island paradise surrounded by coral reefs. 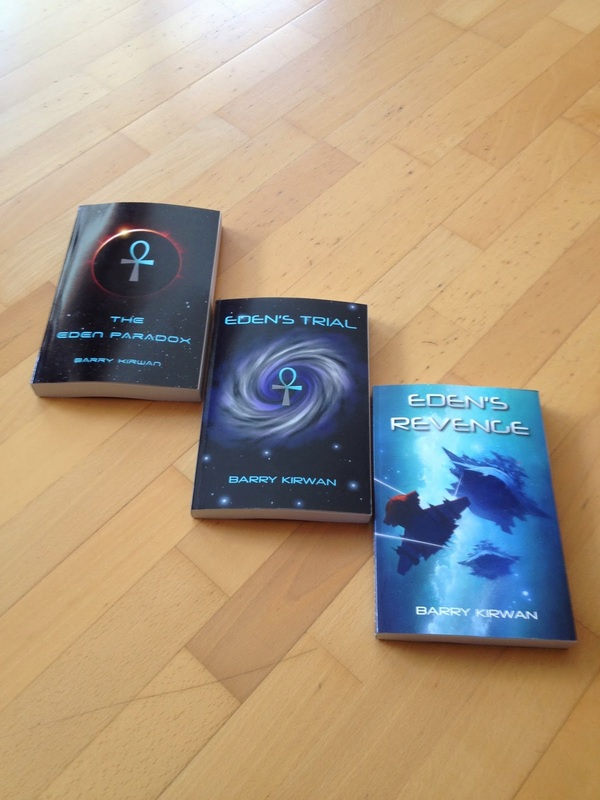 When I dive it inspires me to write more science fiction. This surprises some people. What does ‘inner space’, as our oceans are sometimes called, have to do with outer space? Actually, the lack of it – when you dive, you are neutrally buoyant. It’s not quite weightless, since you still know which way is up and which way is down, but it’s close enough – which is why astronauts train in large tanks full of water. The feeling of ‘flying’ is one of the things divers love, and despite having twenty kilos of weight on your back, you feel far lighter than when on land. 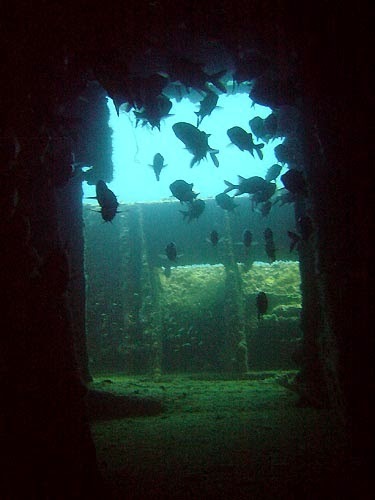 One of my favourite dives here is called 'Tuna Wall', off the coast of a small town called Trou aux Biches. The top of the wall begins 37 metres down, and descends to around 60 metres; so it’s only for advanced divers, usually just me and another instructor. 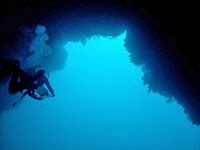 To get there, you take a short ride out from Trou aux Biches, then get off the boat fully kitted and freefall through the blue, equalising the pressure in your ears every five metres, watching the depth on your wrist computer, staring down into the blue: falling, flying, dropping. After what seems a long time, something looms towards you – the top of the reef. That feeling of flying through space, albeit blue, then arriving at the reef makes me think about flying through space and then arriving in a solar system. 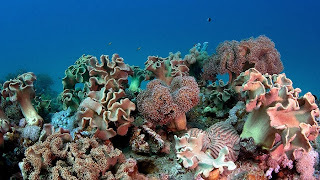 The wall, as with most coral reefs, is festooned with corals of all different shapes and sizes, overlaid by a carpet of fish and other creatures. It’s like landing in an alien city, surveying it from above. There is whip coral, staghorn coral, brain coral – the names give you enough of an idea – and if you imagine the scale to be different you start thinking of alien domes, transport chutes and networks of unknown function. The coral ‘floor’ itself is often jagged and full of crevasses and fissures, hiding small fish or shrimps inside their caves. There are anemones that have their symbiotic relationships with clownfish, cleaner wrasse who swim into the mouths of much larger fish to clean their teeth by eating sticky morsels trapped there, as well as removing parasites on the fishes’ skin. But most impressive is how schools of fish move together as if they were one organism, particularly when there are predators around. 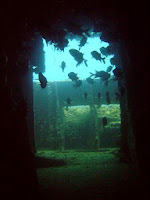 While here, I dived a well-known wreck, the Stella Maru, an old fishing vessel. It has an external ‘corridor’ like you normally have around larger boats, that experienced divers are allowed to swim through (you have to be careful and good with your buoyancy or else you are likely to cut yourself on rusted iron edges). 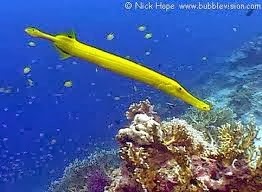 This time, it was full of trumpetfish of varying colours (normally yellow or grey-blue). They have two pairs of small of fins that look totally ineffective, and a tailfin; but just try and touch one. They are often tantalisingly close, but if you try to touch they move just out of reach; one of them actually cart-wheeled away from me down the corridor, which was a first. After the dive it got me thinking how a space vessel with an aft propulsion system and only a few directional thrusters would be highly manoeuvrable in space. 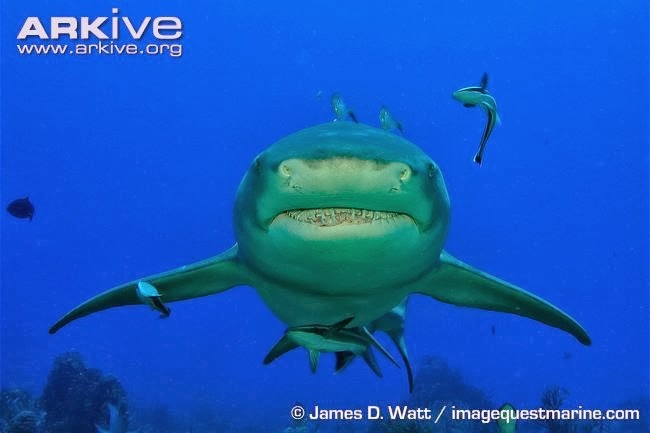 Mention diving and predators, and everyone thinks of sharks; but there are many more. One of my favourite is a six-inch long fish known as the Mantis Shrimp. It sits in a crevasse and watches the fish go by. When one gets close enough, it lashes out with its claws, lightning fast, and threshes the fish, then devours it. 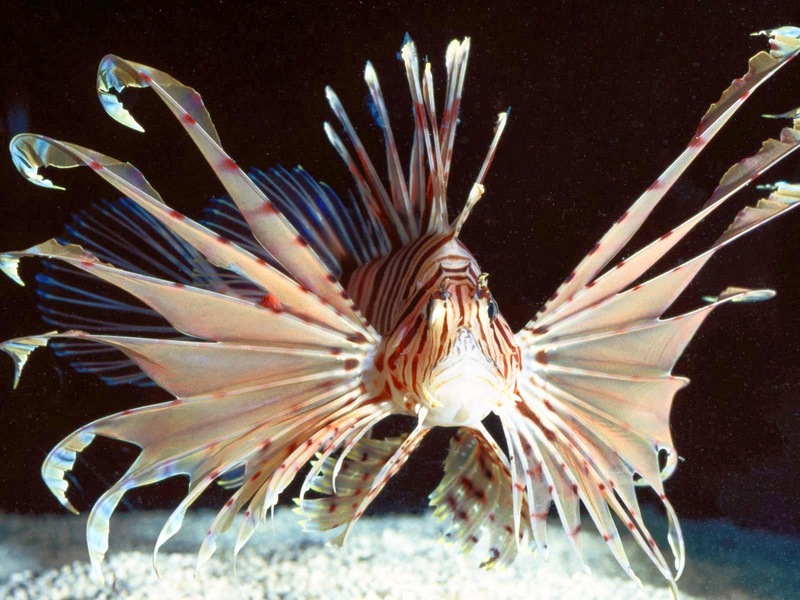 There are also masters of camouflage such as scorpion-fish and stonefish, as well as ‘bottom-dwellers’ who hide beneath the sand, sometimes luring prey with a small wriggling fish-like protuberance just above their upper jaw. 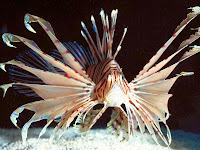 I saw some large lionfish on another wreck this week (the Water Lily). These are beautiful fish with poisonous spines. I used to wonder how they hunted, since they drift along like sailboats (they are going to be the basis for a space-ship design in my next book). But when they hunt, they leap forward in the water, so fast it is like watching a film that ‘jumps’; they only shoot forward a few inches, but that is enough to swallow a small fish. Okay, and there are sharks, reckoned to be the ultimate predator on the planet, particularly the larger ocean-going (pelagic) ones. I didn’t see any this trip, though I usually do. I’ve been quite close to sharks of most variety, though not the Great White ‘jaws’ variety, nor Tiger sharks. The bigger sharks, by which I mean 4 metres or more, are scary, powerful, and fast, and you don’t take your eyes off them. Camouflage is a defence, as is safety in numbers (why many fish ‘school’), but there are some more interesting defences. The parrotfish, for example, exudes a semi-transparent sheath at night, cocooning itself in a shield with an unsavoury taste while it sleeps in amongst the coral. Many other small fish, such as the colourful ‘nudibranch’ are also poisonous. For most fish, however, they live on their instincts and reflexes. What you notice when diving on a reef, is that they all seem to get along with each other, or rather, the ‘society’ you are witnessing works and functions relatively smoothly. There is a definite ‘pecking order’, with sharks at the top of the food chain, and many layers underneath. This social structuring became the template for my Eden Paradox series where there are many species but each lives according to a strict hierarchical arrangement on Nineteen ‘levels’. Humanity, incidentally, is a relatively poor relation, only reaching ‘Level 3’. Of course many aliens can be designed around different types of undersea creatures, and not just fish. I’ve used the Mantis Shrimp (the Q’Roth), squids (Nganks), rays (Shrell) to name but a few. In the book I’m working on now one of the planets being attacked is nine-tenths water, so practically the whole society lives in the oceans. Fish are not pets, right? They don’t bond with us, despite some recent cute cartoon films that give them human traits and characteristics. When you are down there, you are definitely a tourist, an observer, in an alien world. You may try and play with the fish (okay, some like dolphins and even whalesharks may play back a little), but fish and sea creatures are not playing back, they are surviving, and if you dulled their instincts they would not survive very long. As a science fiction writer it is important not to fall into the ‘Star Trek trap’ where aliens are basically humanoid with some interesting facial bone ridges etc., and still behave according to templates we can understand. I try hard to keep my aliens alien, so that they don’t always do what you expect them to do, and they are not particularly sympathetic to our human ways. The converse of the last point is that when writing ‘space opera’, wherein there are many alien races around mankind, that very contrast can highlight humanity’s traits – good and bad. Several of my key (human) characters understand themselves better due to their relationships and encounters with aliens, and sometimes aliens neatly define what makes us so ‘human’. 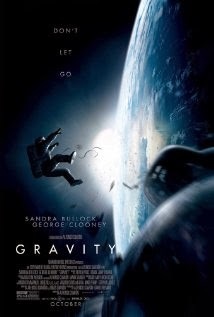 When I was a kid I wanted to be an astronaut, but quickly realise it wasn’t going to happen. But seriously, scuba diving is the next best thing. Many thanks! Glad you liked it!